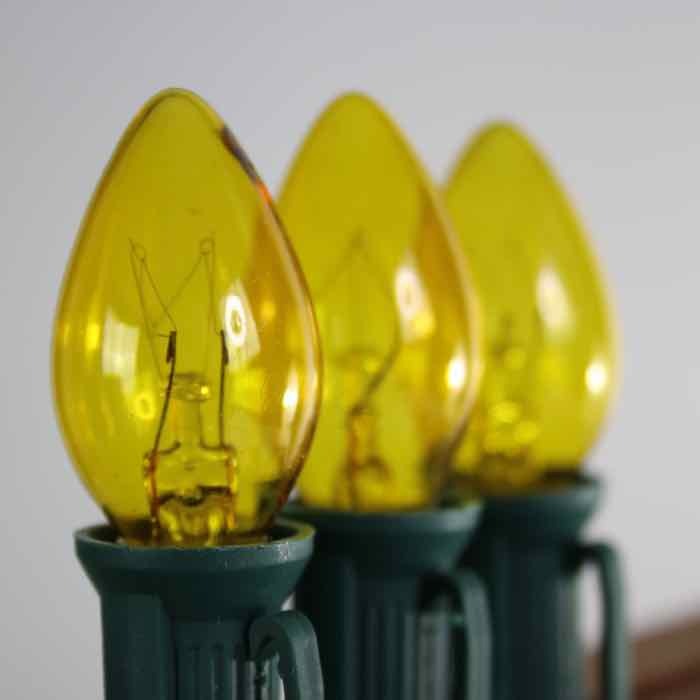 Install these bulbs in an existing C7 (E12base) cord or shop for new C7 Christmas light cords here. 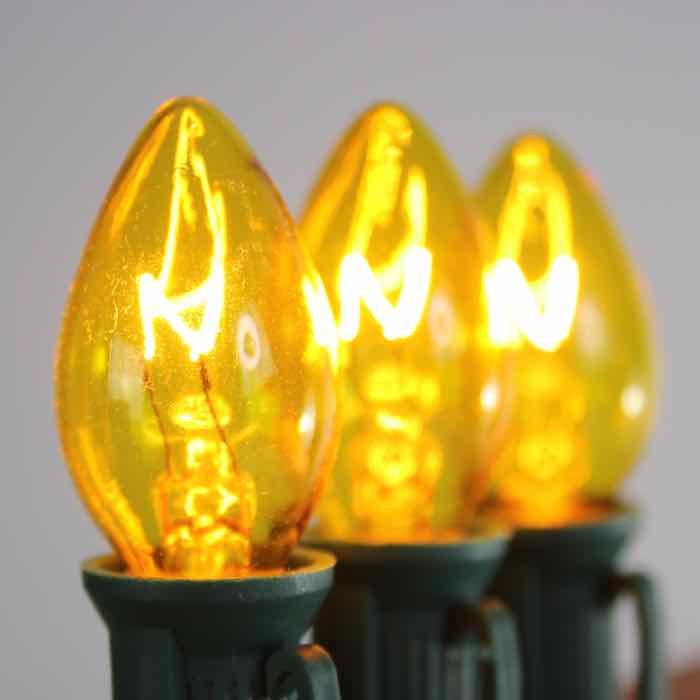 Who doesn't love the warm, festive look of yellow twinkle bulbs? These yellow lights create a fantastic glow at outdoor parties and illuminate pathways beautifully. Whether it's just a few twinkle bulbs installed with steady-on bulbs or a full 100% twinkle this bulb provides an easy way to add random animation to your light display.